Metallica had the most liked content! Remind me again why we had all those lock outs to keep salaries down again 🤔. Yeah who am i kidding lol, I could see someone giving him 9mil. So I guess your ok with Drouin not showing up for games and not looking interested out on the ice. Why because his French and a home town boy? So he gets a pass? Not from me he doesn't, he reminds me of yakupov out there on the ice. 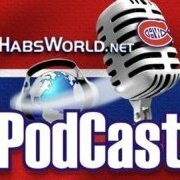 Who do the Habs take in the 2019 draft? We're weak on D, you go with the best playmaking Defensemen on the board when we pick. Well boys for what its worth things looking up for the habs Tatar was a steal Domi was a steal Kotkaniemi looks like a gem Price back to his old self A lot of positive things happen this year. Makes next year worth looking forward too. Just got to figure out what to do with one Mr Drouin. Their PK in the offensive zone looked better then their pp does. Hows that possible? Big test for the boys tonight. How's that other kid doing? You know the one every wanted to draft and was pissed off Bergevin never did?? 🤔 yes I am talking about Zadina. Yup couldn't even crack Detroit's line up.